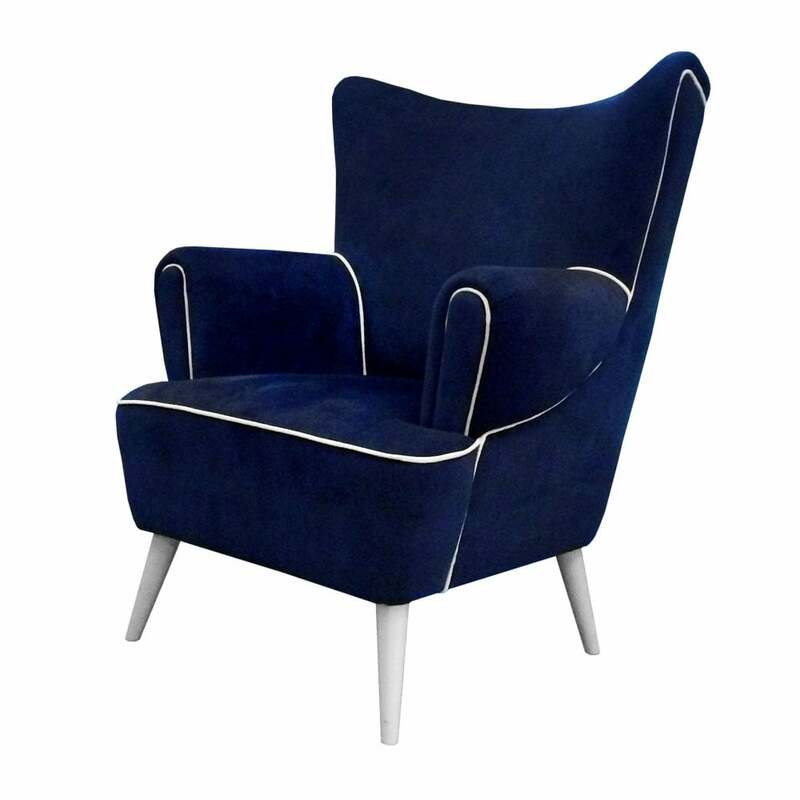 Part of the Century Collection by Ottiu, the dainty Garland Armchair is upholstered in a soft honeysuckle velvet and a radiant gold cord. Finished with gold leaf, the cylindrical feet add an elegant touch to this contemporary piece. With her signature smile and pristine make-up, Judy Garland epitomised 1950’s Hollywood glamour. Her head-turning looks and endearing personality inspired Ottiu to create this stylish armchair. With a mid-century modern shape and high gloss finish, the Garland Armchair will make a luxurious addition to your contemporary living room. Available in a range of fabrics and finishes, get in touch with our team to discuss bespoke options. Priced for Upholstery: Ottiu Fabric. (USD) Structure: Pinewood,legs coated in gold leaf with high gloss varnish. Details: Golden piping.